Don’t you understand.. If I could see my adoption experience as a wonderful thing, I WOULD! If I could just let go of the pain it has caused me, I WOULD! If I could just fill the empty hole deep inside me, I WOULD! If I could just take back my “Adoptee Status”, I WOULD! If I could learn to bond with other people in a more profound way, I WOULD! If the fear of rejection would just leave my body, I WOULD BE HAPPIER! If I could explain how I feel without getting interrupted just one time, I WOULD! If I could shake you so you understand my pain, I WOULD! This is not the choice I picked for me, and my life. This wasn’t my choice at all. But now I have a choice what I’m going to do with this mess! I’m going to help other adoptees, BECAUSE I CAN! I’m going to learn how to cope with my wounds that are so deep, BECAUSE I CAN! I’m going to use my God given ADOPTEE VOICE, BECAUSE I CAN! I’m going to pray EVERYDAY that God help me get through another test, trial, or tribulation!, BECAUSE I CAN! 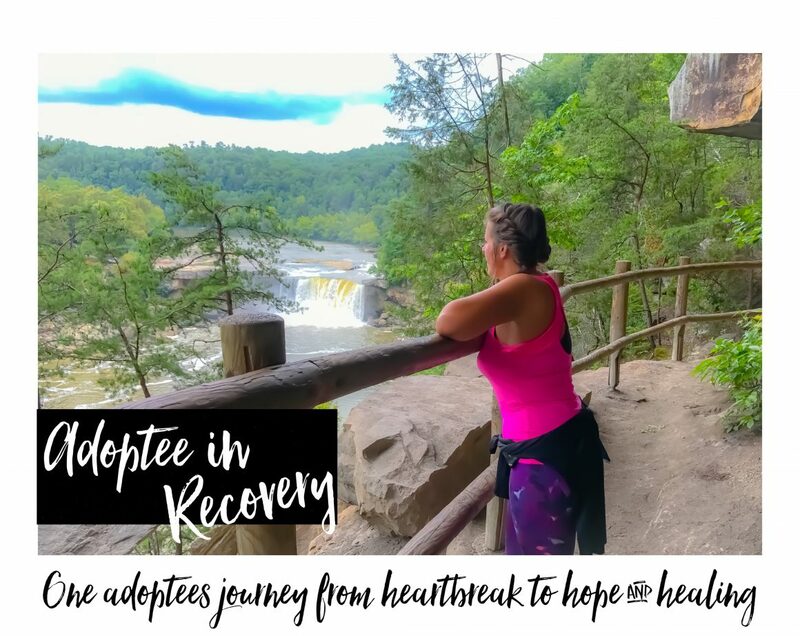 I will share my view, and opinion on my experience growing up in a closed adoption with other adoptive parents, so maybe they have a little glimpse of what their adopted child is maybe going through, BECAUSE I CAN! I can understand what other adoptees are feeling, and going through, BECAUSE I AM ONE OF THEM! Please don’t judge me, or any other adoptee for that matter, if you are not one of us. If you didn’t get torn from your biological roots, which are the very roots that define you as a person then you have no idea what its like to be adopted. Please don’t judge me as being negative because my adoption experience is not a wonderful one, think about the fact that maybe adoption isn’t as pretty as you have thought it was?? That is possible.